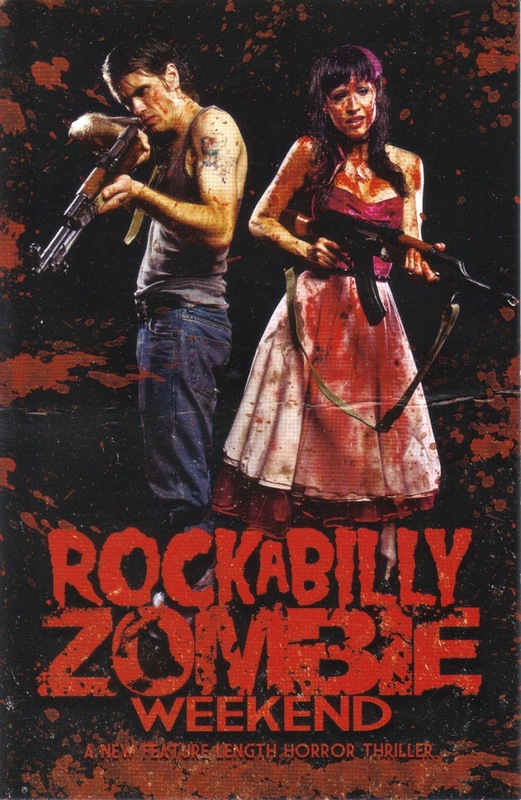 ROCKABILLY ZOMBIE WEEKEND deals with a bunch of 50's dressing rednecks who must escape a town full of zombie idiots who were sprayed by a government mosquito juice and now crave human flesh for some unknown reason. What follows are 88 minutes of really bad lighting, acting, makeup effects, and dialogue. 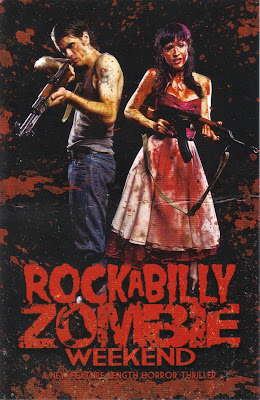 This undead snoozefest is available for streaming online (for FREE!) 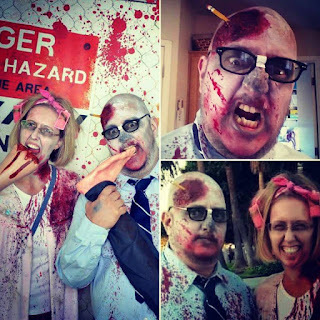 on Amazon and YouTube, but as always, you're better off leaving this cinematic Zika virus to us and spraying yourself down with the upcoming season of THE WALKING DEAD instead. Joining us as part of our extended co-flushing team this time out are Degenerate John & Dee Dee, hosts of the MORE BRAINS! podcast.